Metro 2033, rough as it is around the edges, is one of my favorite games of all time. Metro: Last Light is also a darn fine game. Despite some odd story quirks, both games ooze atmosphere. "Immersion" is an oft-bandied term that has become progressively meaningless, but few other shooters would urge you to stop and watch a fifteen-minute vaudeville act in the middle of the story. Few games would employ a system where your most powerful bullets are also currency, forcing you to make a choice between stopping power and wealth. It's these little touches that make the subway-and-nuclear-winter world of the Metro franchise feel so alive. So if it takes Deep Silver "remastering" the games, as they describe it, and releasing definitive versions in order to get people to play the series, that's fine with me. Unfortunately it makes for an awkward demo. I got the chance to go hands-on with the PlayStation 4 version of Metro Redux a few weeks back, and it's hard to really tell what's different. I don't mean that as a slight against the repackaged version, because I'm sure the differences do exist. Imagine that you watched the original version of Apocalypse Now a few years ago, though, and then somebody showed you the director's cut. Would you be able to pick out the additional scenes or would you simply second-guess your memory each time? That's what playing Metro Redux is like. You're creeping around post-nuclear war Russia with too few bullets and slapped-together weapons in a state of isolated, unnerving terror, just trying to figure out what (if anything) is different. In a way I guess that's a good thing—it still feels like Metro. Nothing I saw felt "out of place" as it were. But when the developers tell you "This is an entirely new section of this level, added just for the Redux version," you can only smile and nod and try desperately to recall what the game was like before. Compounding the problem is the fact that I wasn't shown graphics comparisons between Metro 2033 on the PC and the new-and-improved Metro Redux version of 2033 on PC. 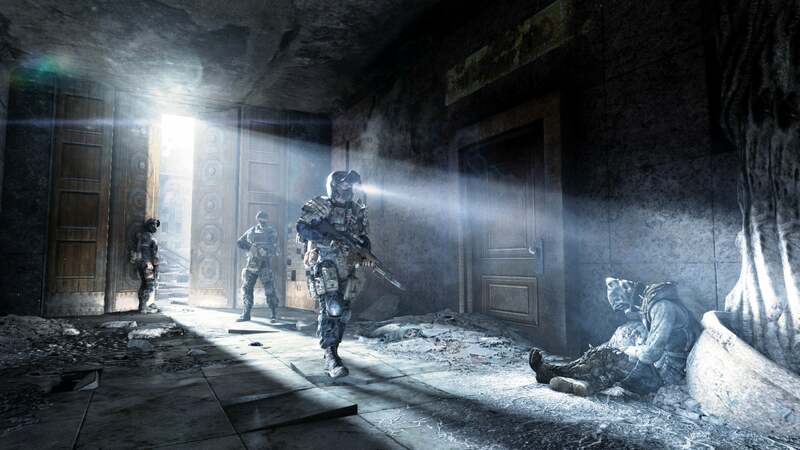 The closest we got was a comparison video between the Xbox 360 version of Metro 2033 and the new visuals in Metro Redux. And yeah, Metro Redux blows the piddling Xbox 360 graphics out of the water with all the force of ten nuclear bombs. No surprise there. To say that Metro 2033 looked like absolute garbage on the 360 compared to a high-powered PC...well, that's putting it kindly. I'm curious how much of a graphical bump the game gets when you compare the best PC settings to the new best PC settings. That's something we'll have to test when the game releases this summer. 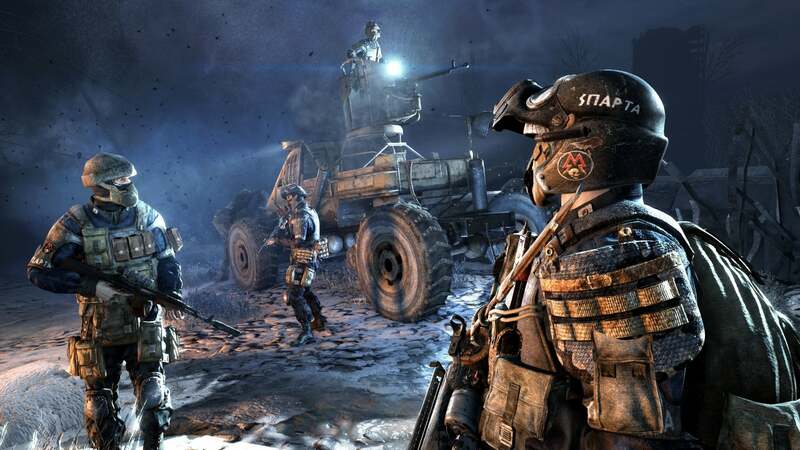 4A Games also listened to the complaints of Metro 2033 fans that Last Light skewed too much towards the Commando side of the spectrum in comparison to 2033's more stealth-based mechanics. Redux includes two play modes for each game—Survival and Spartan. Survival Mode is more like 2033—bullets and other supplies are hard to come by, and you'll have to scrounge to make it through. Spartan is akin to Last Light—go in guns blazing and you'll probably be fine. You can play 2033 in Spartan Mode and vice versa. Unfortunately it sounds like combat encounters won't be rebalanced for these modes. I asked an on-hand member of the team whether sequences like the interminable "Defend this point!" sections in Last Light would be at all overhauled to work better with Survival Mode and was met with a "Yeah, that'll probably be a lot harder." Or, in other words, no, they won't be overhauled. Another small bone to pick: 4A will not be changing the way quick-time events are handled in Ranger Mode. 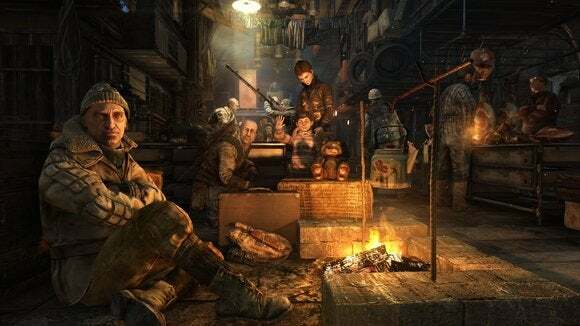 If you don't know, Ranger Mode was an incredibly popular optional mode for Metro 2033 that became downloadable content in Last Light. In effect, Ranger Mode made guns more powerful, people more fragile, and removed the HUD from the screen. Unfortunately, quick-time events are counted as "HUD elements." Thus, when playing on Ranger Mode you don't even necessarily know a quick-time event is happening, let alone what key you need to press to progress. It's incredibly frustrating, but 4A stands by their decision, recommending you play through the campaign with the HUD on before attempting Ranger Mode. I don't think they're wrong, in this case, but it's an annoyance when you die in what looks like a cutscene. I didn't get to check out whether they'd fixed the other problems with Last Light's Ranger Mode—namely, that you have no idea the total amount of air filter time you have left, and that selecting secondary weapons is basically impossible because it's done on an invisible HUD instead of scrolled through with the rest of your armaments. These are also high on the priority list when we get a review copy. It's Metro, for better and for worse. There are some other small changes; you can now wipe dust and blood off your gas mask in 2033, for instance. If you liked Metro 2033 and Last Light, well, you already own them. I'm not sure whether this will be enough to make you repurchase, though I'm excited by Spartan/Survival Mode and the prospect of some 2033 levels getting combined into one enormous zone instead of being broken up with loading screens. I'm looking forward to digging deeper in a review later this summer—checking those graphics comparisons, for example. At the moment, all I can say is that this does appear to be the definitive version of each game, and perfect if you've for some reason held off on either. The Metro games are games worth playing.